Being one of the first faces people see when they walk into the salon doesn’t phase our newest Salon Assistant, Bree Youmans. 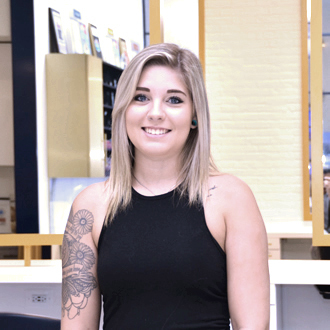 “I love the confidence clients have both when they come in and when they leave the salon,” says Bree. “Current has a great reputation, and I’m excited to be part of creating an exceptional experience for each client. It doesn’t hurt that the salon is absolutely gorgeous!” While maintaining her current role as a Salon Assistant, she will also train to be a Stylist under our Apprenticeship Program.